RTÉ, the Irish state broadcaster, seems to be refusing to report the substance of the allegations against Presidential candidate Dana Rosemary Scallon‘s brother. This scared me half to death when I heard the news this morning. You see in Ireland we have some quite stunningly repressive libel legislation. How else could so many politicians have gotten away with so much? It did appear that this blog was the first here to relay what was being reported in the US, and when even the state-owned broadcaster didn’t dare repeat the answer to the question the whole country was asking, I had a horrible feeling that I must have overstepped the mark. Just how much would I be liable for? So it was with enormous relief that I saw the Irish Times today. They at least followed suit after the IrishCentral scoop – so quickly and thoroughly in fact (Colm Keena’s background report is excellent) that I suspect they had the story prepared but didn’t want to be the ones to break it. The Irish Independent meanwhile, supposedly the leading quality broadsheet, coyly states only that there have been accusations of a sexual nature against a member of Dana’s family – nothing she hasn’t said herself. It all adds up to a picture of some pretty craven behaviour on the part of the Irish media. RTÉ may at least have the excuse that as a national broadcaster they are bound by charter to be scrupulously fair to candidates. But when that reaches the point where they cannot report allegations which are now known publicly – as I write they are still saying only that she is upset by “media coverage about a family member” – it becomes pantomime. What’s more it now favours her unfairly, because their flagrant censorship lends weight to her apparent conviction that she is the victim of media persecution. So according to a story just broken by IrishCentral.com, the “vile and false” accusation against a member of Dana Rosemary Scallon‘s family is that her brother – and campaign advisor – John Brown sexually abused their niece. Pretty vile all right, and from an odd source. No complaint or charge of sexual abuse appears to have been made. 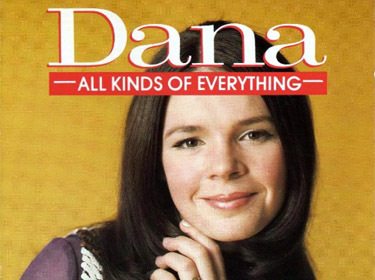 The accusation comes from legal testimony given by the father of the alleged victim, Dana’s brother-in-law Dr. Ronald Stein, during the legal wrangling between the partners formerly involved in Dana’s record label. (Heart Beat Records, a “Christian music company the family had established in the U.S.” as IrishCentral describes it.) However he appears not to have accused Dana’s brother of the crime so much as claimed that he confessed to it. Will this affect her campaign? In fact I think it could do her more good than harm. Unlike the loosely comparable issue dogging Senator David Norris, her brother has not apparently been convicted or even charged with anything, and the full extent of Dana’s involvement, as far as we know at this point, was to try to keep the allegation off the record and out of the papers. That may have been ultimately a foolish move – if an allegation is baseless you inevitably lend it credence by attempting to suppress it – but she doesn’t appear to have done anything at all improper. Then there is the issue that will inevitably follow on. Was some journalist really using this information to threaten her, as she seems to believe? If it can be shown (or made to look like) one was, then she has a sympathy vote coming. I doubt if it is true though. It seems more likely that she perceived, or wished to characterise, any questions about these allegations as an attempt to undermine her campaign. But she should not pretend, even to herself, that such an allegation made in court is of no legitimate interest to the electorate. The biggest mystery here is how it did not come to light until this late stage. Will it effect the outcome of the election? No, not at all. She was quite clearly not electable anyway.